Lok Sabha Elections 2019: West Bengal will go to polls in seven phases. There are a total of 42 parliamentary seats in the state, amongst them, Jalpaiguri, Darjeeling, and Raiganj will also go to polls. Here’s all you need to know about these seats. The total number of electorates in Jalpaiguri is 1,252,142, according to Election Commission of India (ECI) 2009 data. In 2014, Bijoy Chandra Barman from AITC won the elections against CPM’s Mahendra Kumar Roy. This year, BJP has fielded Dr Jayanta Ray. INC has fielded Mani Kumar Darnal from the seat, while the TMC has pitted Bijoy Chandra Barman. CPI(M) has fielded Bhagirath Roy from the seat and BSP’s Jiban Krishna Majumder will be fighting for the seat. The total number of electorates in Darjeeling is 1,215,464, according to Election Commission of India (ECI) 2009 data. In 2014, S.S. Ahluwalia from BJP won the elections against AITC’s Bhai Chung Bhutia. This year, BJP has fielded Raju Singh Bisht. INC has fielded Shankar Malakar from the seat, while the TMC has pitted Amar Singh Rai. CPI(M) has fielded Saman Pathak from the seat and BSP’s Sudip Mandal will be fighting for the seat. 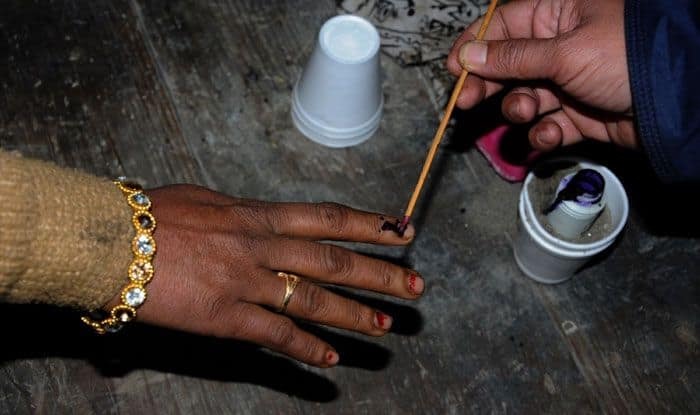 The total number of electorates in Raiganj is 1,108,382, according to Election Commission of India (ECI) 2009 data. In 2014, Md. Salim from CPM won the elections against INC’s Deepa Dasmunsi. This year, BJP has fielded Deboshree Chaudhary. INC has fielded Deepa Dasmunshi from the seat, while the TMC has pitted Kanaia Lal Agarwal. CPI(M) has fielded Md. Salim from the seat and BSP’s Churka Murmu will be fighting for the seat.